It seems like a new restaurant, boutique or activity is popping up daily in Chapel Hill and Orange County. There are so many new to-do’s that it’s sometimes hard to keep up! From the best new burgers to terrific new trails, we’ve compiled some of the most recent must-see’s in the community. Read on for fresh, fun ideas to add to your summer agenda. 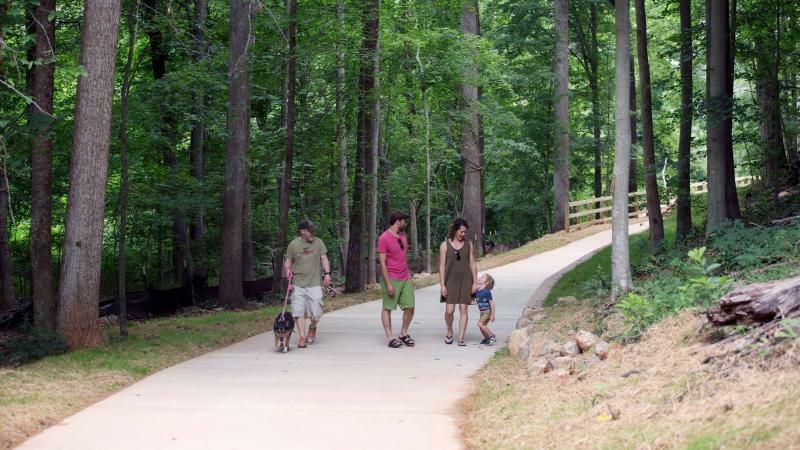 Tanyard Branch Trail Expansion: The newly expanded trail will allow pedestrians and bicyclists to travel from the Northside neighborhood to Umstead Park and the Bolin Creek Trail – which also boasts a new tunnel mural painted by high school students from the Boomerang and Volunteers for Youth programs! Cha House: West Franklin Street’s new modern-day Asian-style tea house is worth all the chatter it’s been getting! Craft teas and snacks in a welcoming, casual atmosphere incorporate the tastes and traditions of Taiwan. High quality ingredients are sourced directly from farmers and suppliers in Asia, providing you with the most authentic flavors and aromas available. 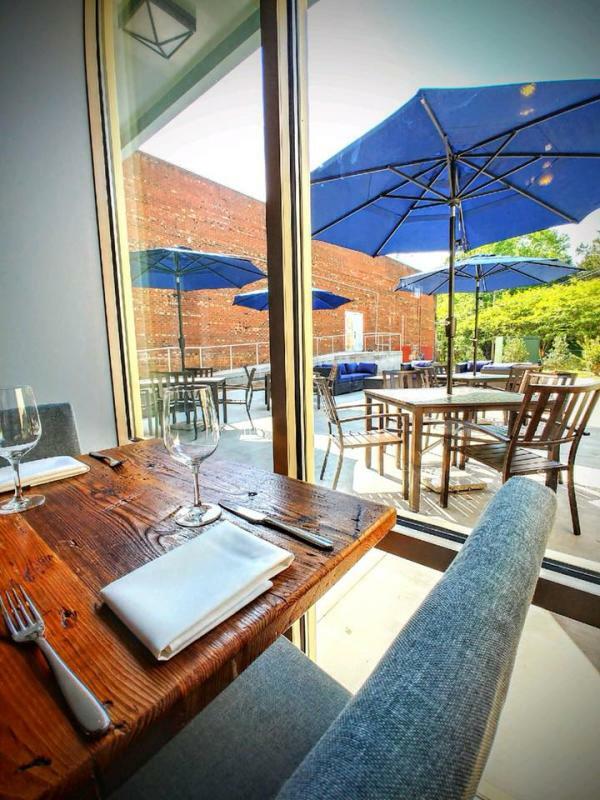 Oakleaf: Oakleaf’s emphasis on “sophisticated farm to table cuisine in a casual and comfortable atmosphere” hit the nail on the head when it comes to achieving Chef Brendan Cox’s goals. Quality ingredients make up the many handmade pastas, seafood and burgers that grace Oakleaf’s tables. Check out their daily menu for ever-changing grub. Hops Burger Bar: These new burgers have been all the rage since Hops opened – and there’s no mistaking why! Crafted burgers and sandwiches made with the finest local ingredients will leave you wanting more. Taste your way up and down the menu starting with Carolina Red Onion Rings and finishing with one of more than 10 local craft beers. Blue Dogwood Public Market: Set for a June 8 soft opening, Blue Dogwood’s focus on small, local businesses with high-quality food and customer experience is sure to bring a renewed feel to 306 West Franklin Street. Vendors ranging from Chocolatay Confections to Vegan Flava Café will fill the small stalls and feature limited menus and small portions so you can sample a wide variety in one visit! 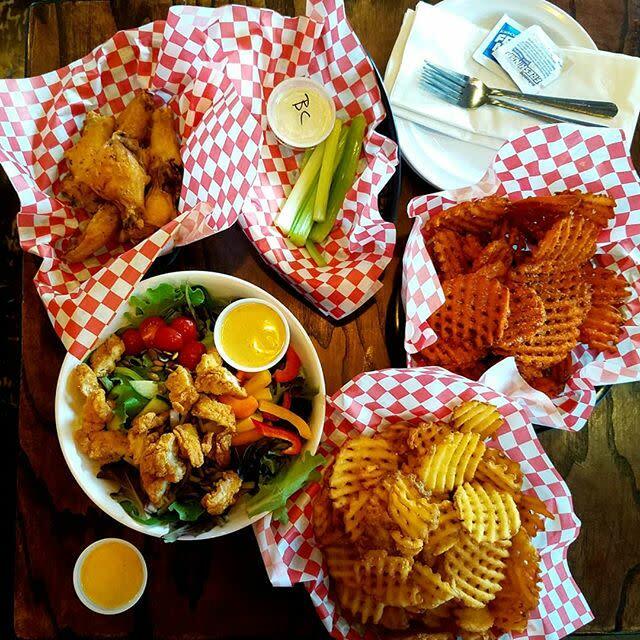 Heavenly Buffaloes: Open for just under two months, Heavenly Buffaloes is making waves with its selection of bone-in, boneless and even vegan wings! More than two dozen sauces, waffle fries, salads and sandwiches round out the menu, with Buffalo Brownies like Spicy Chocolate Fudge available to satisfy any sweet tooth. King Street Bar: Playful and casual, King Street Bar owner Tim Lyons calls his newest restaurant “a bar with snacks” – but that’s not all! Featuring a bocce court, cocktails and a large tap selection of craft beers, King Street Bar is your new go-to for casual fun. Take advantage of the warm weather and get to tasting, testing and treating yourself to all that’s new! To stay up to date, be sure to follow all things Orange County on our Facebook, Twitter and Instagram. And don’t forget to let us know in the comments below what you’re most excited to try!